Some said that The Cravats were an acquired taste, suitable for only a refined palate. Some said they were 'sax-riddled nothings'. In any event, the band grew from 1976/77 punk roots into the highly eclectic, inventive jazz-punk colossals of the late 1970s and early 1980s. Championed by the likes of Radio 1's John Peel and journalist Mick Mercer, the band released only a handful of singles, two albums and played live only intermittently. Cited by many other bands as influential, they developed a cult following, with discerning fans including Paul Hartnoll and Stewart Lee. There are two CDs currently available from Overground Records. 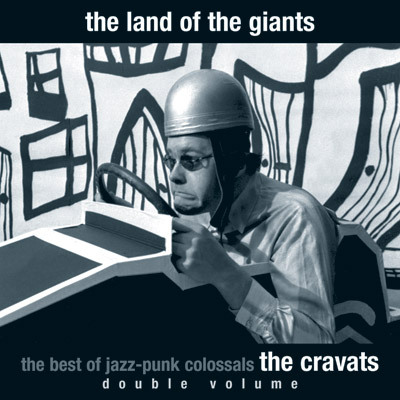 A compilation double CD album featuring a range of tracks from both original albums (The Cravats in Toytown and The Colossal Tunes Out), singles and live gigs. 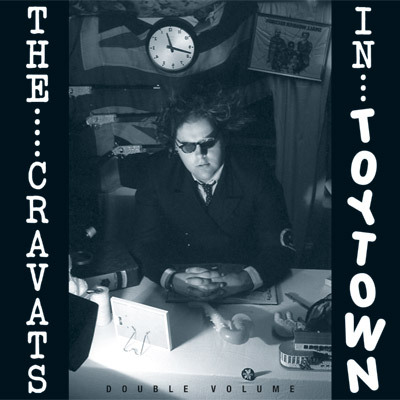 The first Cravats album, re-released for the first time on vinyl. Originally released in 1980, this re-release features restored and remastered tracks and a new inner sleeve with extra photographs from the sleeve session.